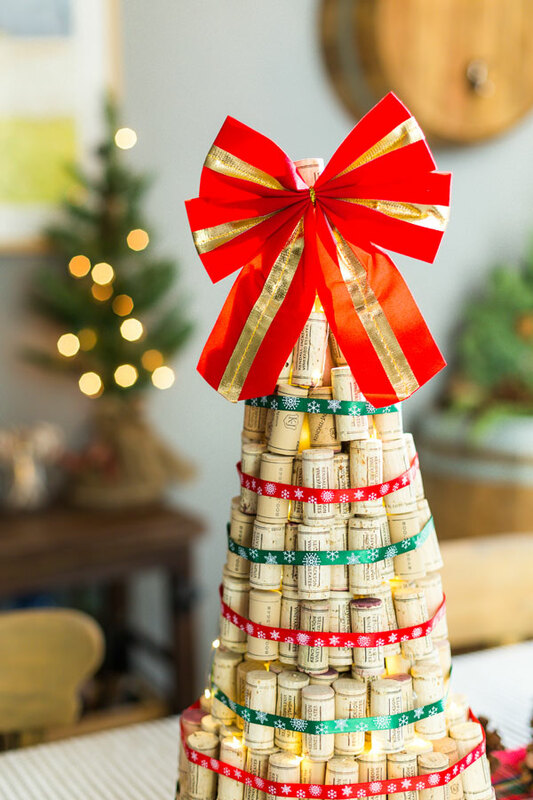 Combine your love for wine and the holidays with this festive DIY wine cork Christmas tree. 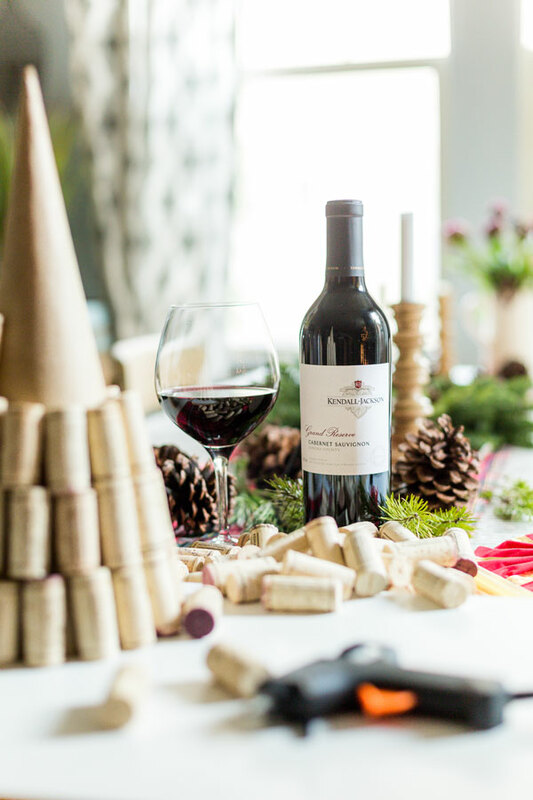 The holiday season is well underway and with all the celebrating that takes place this time of the year it always seems to lead to an excess of leftover wine corks from all the fun. 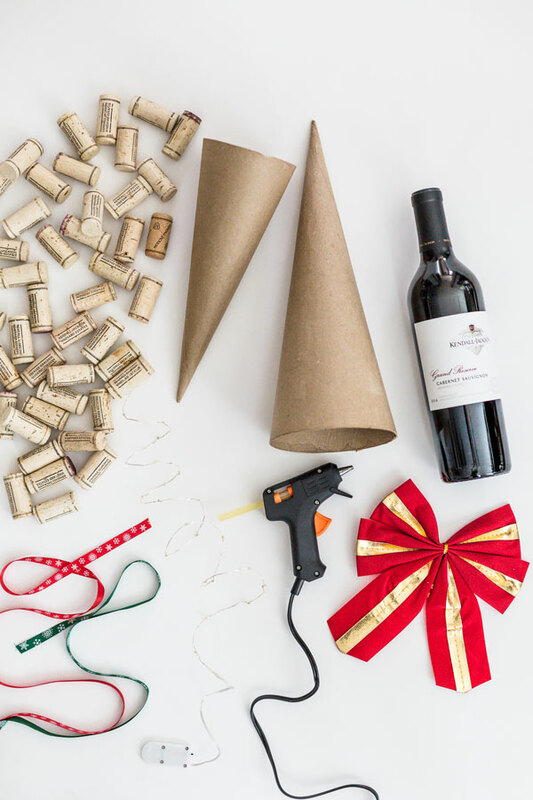 If you’re like me and are looking for a fun DIY project that will put those extra corks you’ve been saving to good use then this festive creation is just for you! 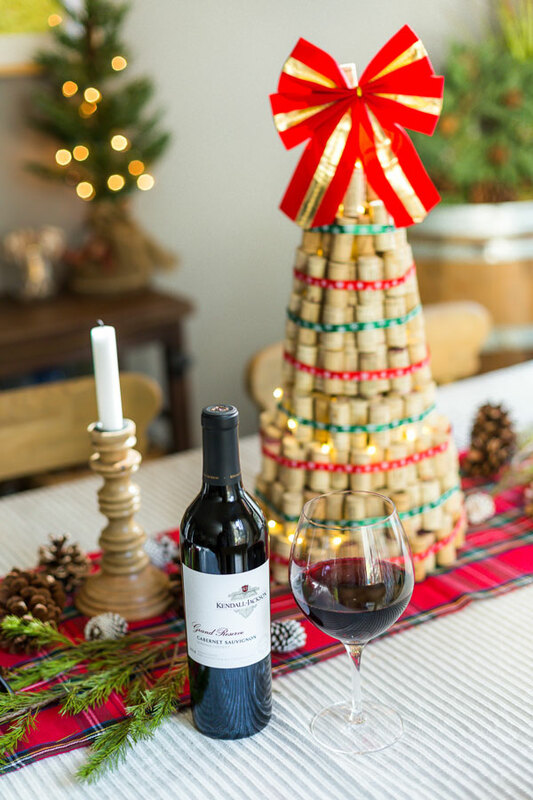 This simple, fun and decorative DIY wine cork Christmas tree requires just a touch of crafting skills, but a whole lot of holiday spirit. 1. Start with the largest cone. 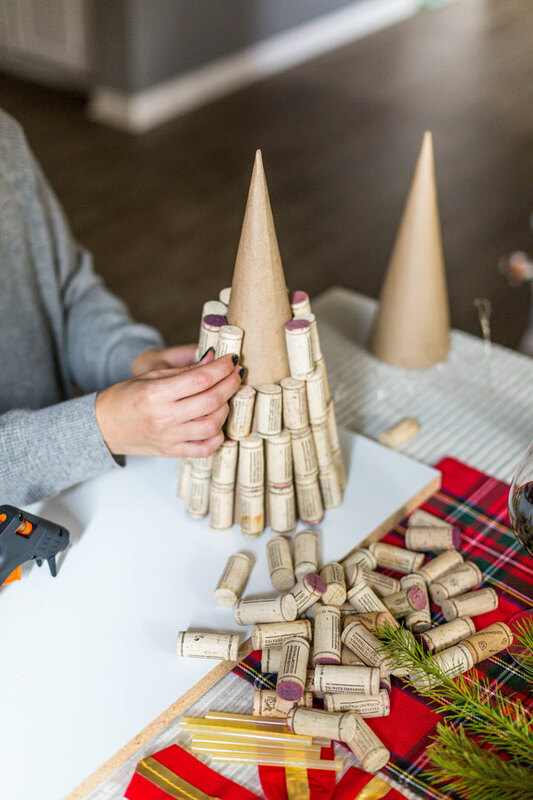 Start hot gluing corks to the cone in a symmetrical vertical pattern with a little bit of space between each cork. Be sure to not let any of the corks extend past the bottom, as this will be the base of your wine cork Christmas tree. 2. Next, do the same thing with the medium size cone. Here you don’t have to worry about corks extending past the bottom edge as this will overhang on top of the larger base cone. 3. Place the medium size cone on top of the larger cone and apply hot glue to secure. This should create a two-tier Christmas tree shape. 4. 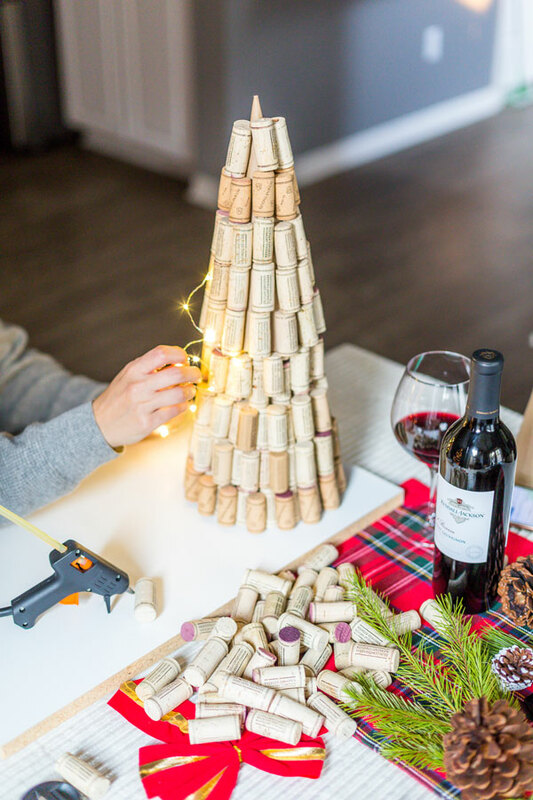 Before you place a second layer of corks on, start to weave the battery-operated lights into and around the spaces between the corks. Start from the bottom where you will place the battery pack to be hidden underneath and work your way up. 5. 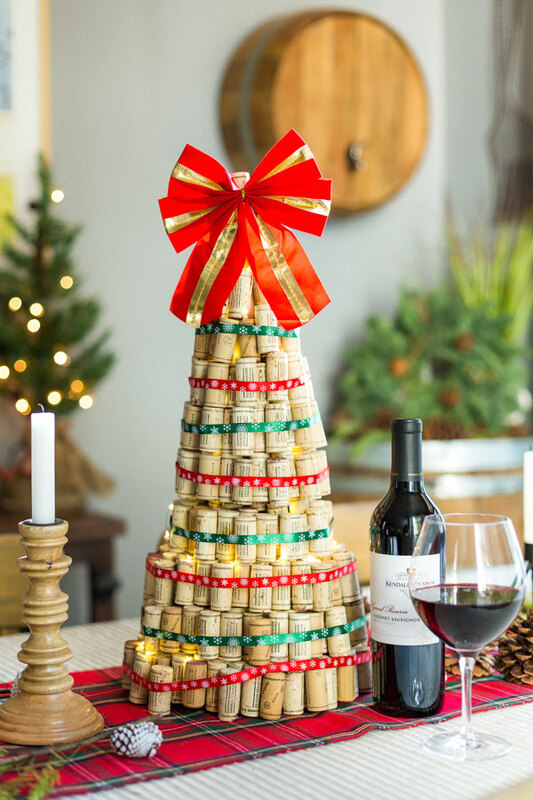 Add another layer of corks using hot glue but be sure to not cover up too much of the string lights. Depending on your style, you can start to place corks in random directions or keep a symmetrical look. Start to create a peak at the top where you will add a single cork standing vertical. Depending on how you’d like your tree to look, you can continue to add additional layers at the bottom of the tree to give it a “fuller” look. The cork tree we did here has about 4-5 layers of cork along the bottom rows and narrows as you go up. Attach a tree topper of choosing. We used a decorative holiday bow and secured it with the wire provided, but you could easily hot glue it. 6. 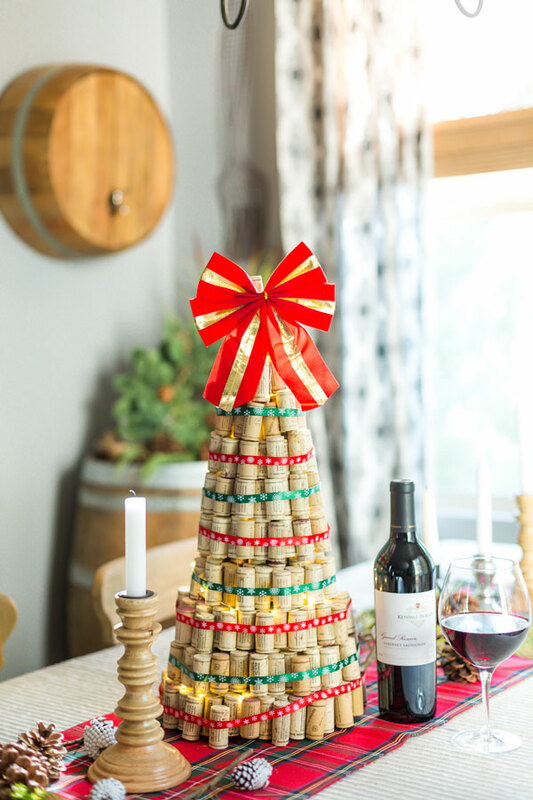 Lastly, using the thin holiday ribbon, wrap a decorative element around the cork tree starting at the bottom. Secure with hot glue occasionally as you wrap towards the top. 7. 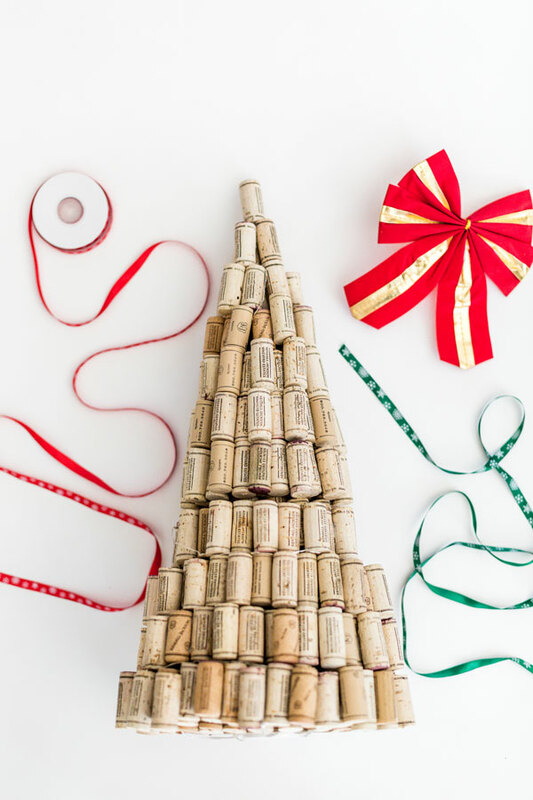 Turn on the lights and marvel at your wine cork Christmas tree creation! I’ve realized over the years that most of my favorite holiday decor is often times a handcrafted creation. 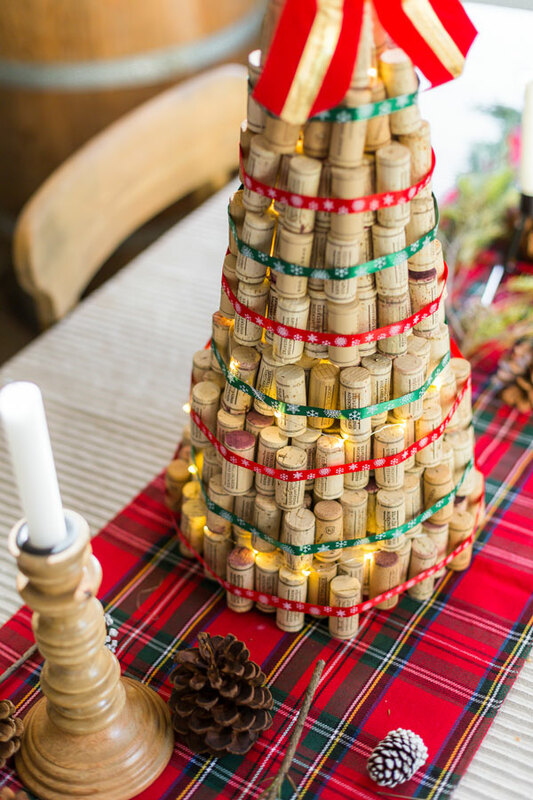 This DIY wine cork Christmas tree makes for a festive centerpiece for your holiday dinner table. 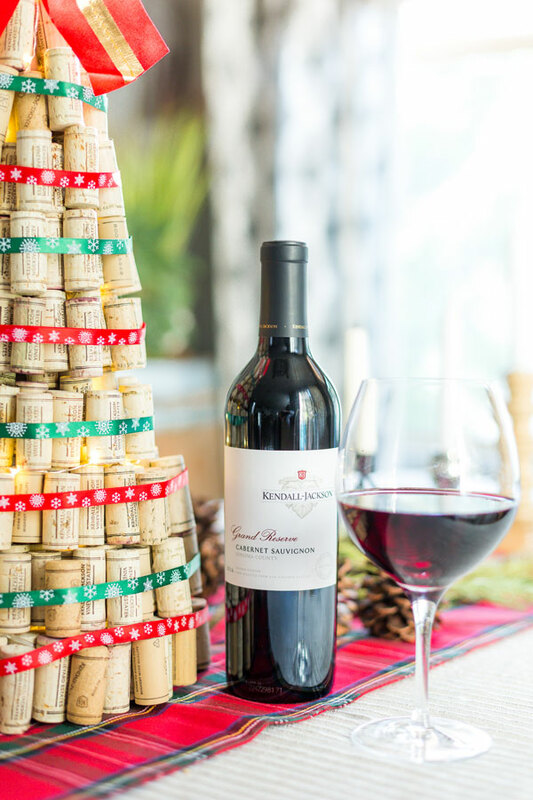 To recreate your own, grab all your used and leftover corks from your favorite wines, pop open a fresh bottle of my favorite Kendall-Jackson Grand Reserve Cabernet Sauvignon, kick up the holiday tunes and get to work! 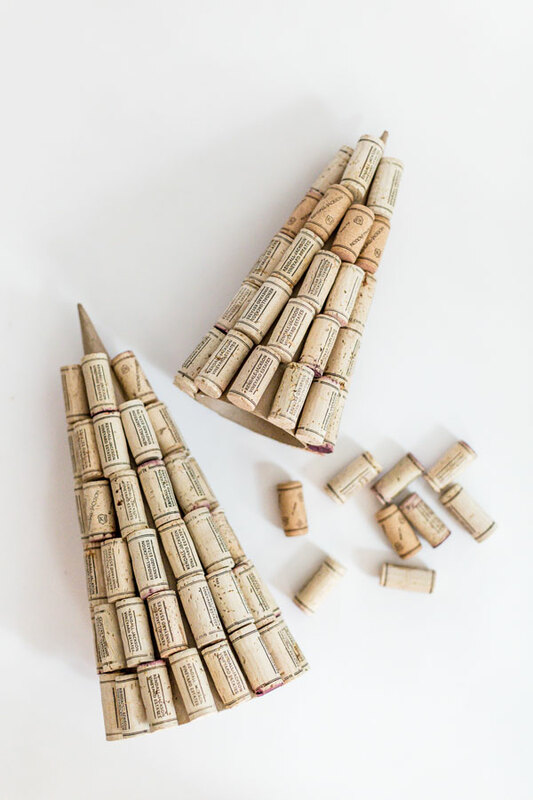 Depending on how large you want to create your wine cork tree, this project should take anywhere from 1-2 hours. Enjoy these few hours of crafting and treasure the joy of the holiday season. Love this Christmas DIY? Share it with your friends or PIN the image below to save for later!